Hello! Yummy cheesy people Vegusto have another lovely offer! (I promise I'm not sponsored by them, they do great offers!) 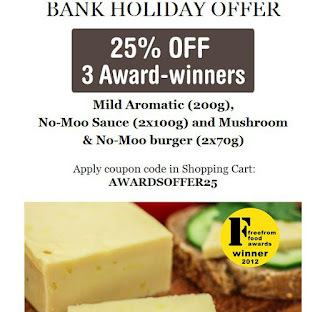 This time it is for 25% off for 3 of their award winning products: No Moo aromatic cheese, No Moo sauce and mushroom and No Moo burgers. Just go here: vegusto.co.uk and enter the code AWARDSOFFER25 at the checkout. 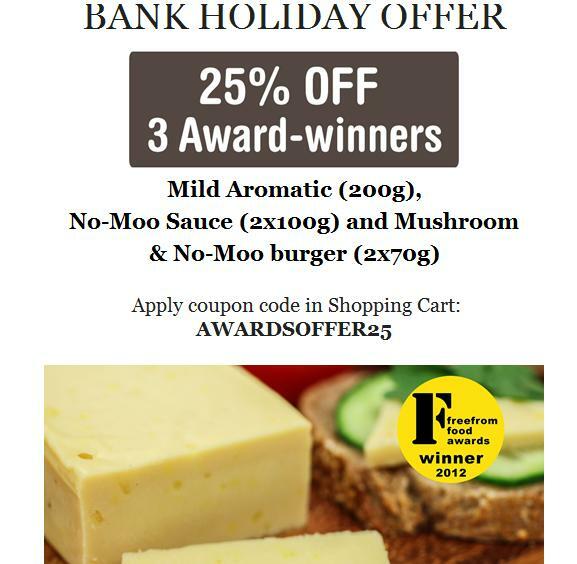 Offer ends Monday 29th May at midnight. Don't forget to factor in postage when considering your purchase!